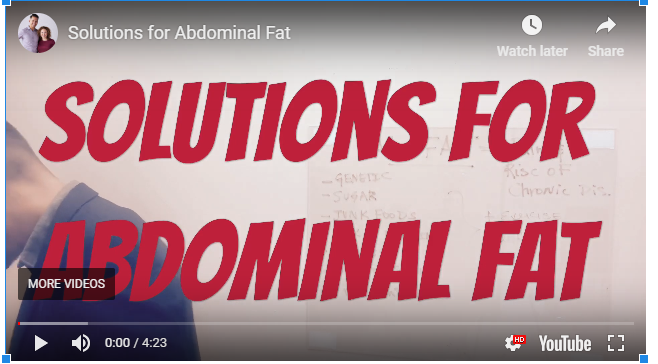 The problem with abdominal fat is that it is not limited to the additional layer of adiposity that is immediately under the skin (subcutaneous fat). It also includes visceral fat, which is found inside the abdomen and surrounds the internal organs. Genetics - Genetic predisposition increases the risk of abdominal fat. The important thing is to understand that our lifestyle manipulates our genetics. Food Intolerance - Intolerance to food is something real, which does not mean just having gas or abdominal pain, it is more important to understand the internal stress and the small inflammation that in the long term increases the risk of abdominal fat increase and progression to chronic diseases . Weekly exercises ,a responsible diet, specific nutrition , natural weight loss , relaxation techniques, physical care (chiropractic, acupuncture), sports, sleep, hydration and other strategies are the basis for conquering a more stable waist and less abdominal fat.